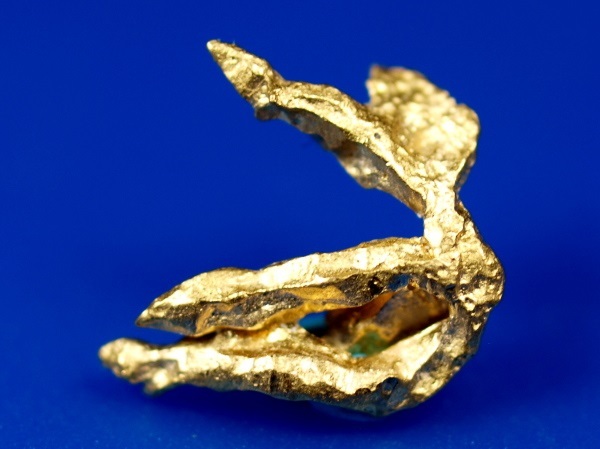 Here is a fascinating gold specimen from Venezuela. 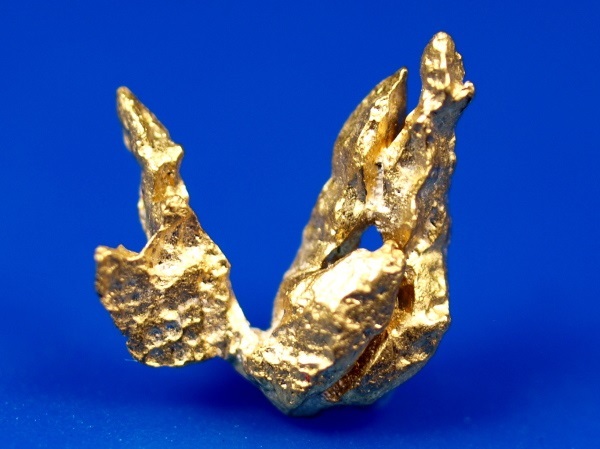 Thick gold wires wrap around each other to create this unique crystal from a rare gold location. 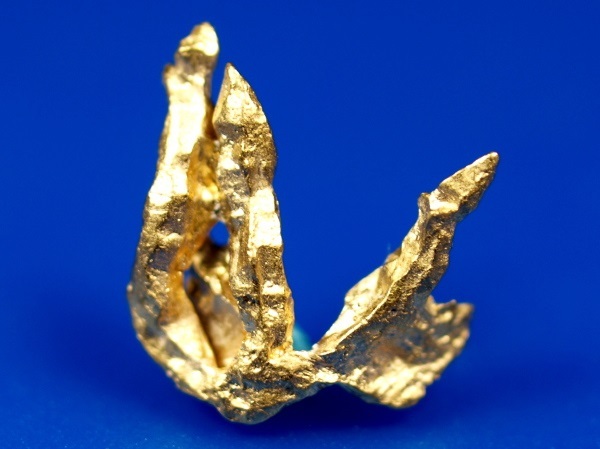 You will find very few gold specimens of this quality on the market. 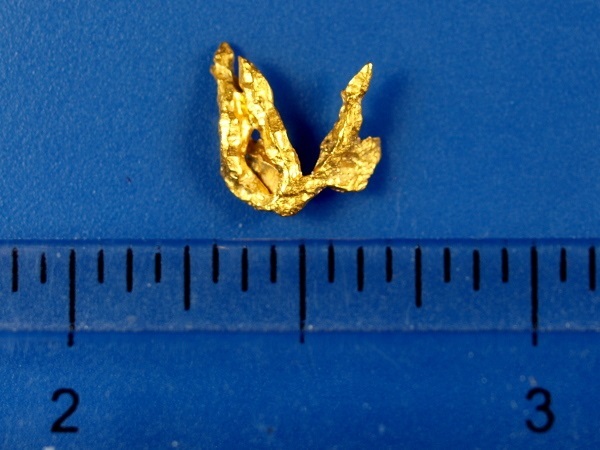 This one weighs 0.75 grams and has bright gold that displays beautifully.